Could EVs bring Lincoln back into significance? We've witnessed automakers jump on the hybrid and EV bandwagon left and right. Even Mazda, a company that has just introduced a revolutionary new gasoline engine is thinking about adding hybrids into its lineup. We seem to be heading for a market where automakers will become insignificant if they don't have a hybrid or EV in their lineup. Lincoln has been having trouble staying relevant recently and the company thinks that offering electrified cars will help. Autoblog reports Lincoln's plans to introduce EVs and hybrids by 2022. According to three sources familiar with Lincoln's plans, we could see details of new hybrid gasoline-electric versions by October 3. This is when Ford Chief Executive Officer Jim Hackett will update investors on the company's plans. Lincoln is also considering an all-electric model, which could help the company improve sales in China. Adding hybrid models to the Lincoln lineup would be part of a larger plan from Ford that includes 18 new electric and hybrid models over the next five years. Many of Lincoln's rivals have already been introducing new hybrid and EV models that will be arriving soon. Lincoln needs new models to keep pace with companies like BMW, Volvo, Jaguar and Mercedes among others. Ford already announced plans to spend $4.5 billion on new electric versions of models like the Mustang and F-150. Lincoln is already nearing a product refresh cycle, at which point it will likely introduce plug-in hybrid versions starting with a new MKC and Aviator crossover. We also expect to see a conventional Navigator hybrid in 2019, a new MKZ and Continental in 2020, and MKX in 2022. 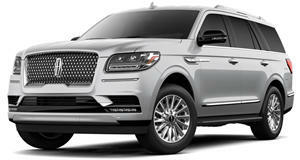 These new models need to be special in order to bring Lincoln back into significance.